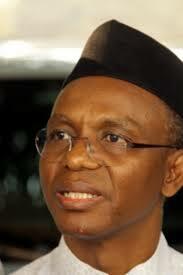 Kaduna State governor, Malam Nasir El-Rufai, has begged members of the House of Assembly to review their salaries and allowances downward in order to generate more revenue for the development of the state. “The Deputy Governor and I have signalled our intention in this regard by announcing that we are taking a pay cut of 50 per cent of our salary and allowances until the fiscal situation of the state improves,” El-Rufa’i said, yesterday, when he paid a visit to the House of Assembly. “As elected officials, we must view our massive mandates as instructions by our people for unrelenting work on their behalf. The change they voted for is for substantive improvements in the delivery of public goods, a new way of doing things and the prioritisation of their needs.